✔ Getting to know you and your business would be a great start, to work on some themes and ideas going forward. ✔ Got any ideas you would like to discuss, or wish me to come up with ideas for you, just let me know. ✔ Got a strict budget, let me know and I'll see if I am able to help you out with a fair deal, all depending on availability. ✔ Want more than just the logo animation, let's talk and I'll be happy to produce further work for you! All I need from you is your logo in the highest quality you can possibly provide it, preferably the original design file is best and on a transparent background. I accept the following file formats. Evolution Designers(evolutiondesigners.net) is an interactive multimedia video production, Design and web development firm that delivers cutting-edge groundbreaking media solutions...Read moreEvolution Designers(evolutiondesigners.net) is an interactive multimedia video production, Design and web development firm that delivers cutting-edge groundbreaking media solutions to a variety of clients. Our team of designers and developers have extensive experience in 2D Animations, White board Animations Web Design & Development, Graphic Design, Multimedia, 3D animation,Digital Marketing and print production. We service large and small companies nationally and internationally. 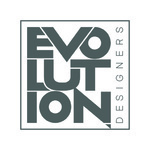 At Evolution Designers we have a creative approach and innovative design is what we strive for. Personal attention and customer satisfaction are critical aspects of our work as well. We will be glad to assist you in any way we can. Our prices are remarkably lower than you may think. We deliver stunning results that compete with much more expensive Animation & Design service companies.